When was the last time you received a phone call regarding a business transaction while at work, or when enjoying time with family and friends? How did you feel about it? If you’re like the majority of consumers, according to ChainStoreAge, you probably would have preferred to receive an SMS message with the information instead. As a business, the reasons for sending transactional information via SMS are abundant. As a result, according to recent research by Infoholic, the transactional service market is estimated to grow from $17.68 billion to $25.46 billion by 2022, growing at a CAGR of 6.3%. 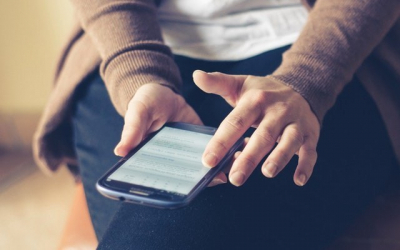 So, what exactly is Transactional SMS? Transactional SMS refers to text messages sent from businesses to their customers providing information necessary to use their product or service. Often sent via an SMS company, examples of transactional text messages include those regarding customer invoices and account balances, order confirmations, shipping, tracking and delivery information, or messages containing links enabling customers to reset a password. There are many benefits to sending transactional information to customers via SMS as opposed to more traditional methods like phone, post or email. A study by Harris Poll found that 64% of American adults with text messaging capability said they would prefer to interact with companies via SMS than phone. This figure jumped to 76% for adults aged 18-34. SMS is a non-intrusive channel, and allows recipients to receive and digest information at a time that is convenient. That being said, 95% of SMS are actually opened within 5 minutes of being received. With modern SMS software, setting up transactional SMS is relatively quick and easy to do. Once established, there is minimal human input required, enabling businesses to direct resources to other areas of the business. Over 98% of text messages are opened. This makes SMS the most effective platform available for communicating with customers. This is particularly important when sending critical transactional information. Transactional SMS are generally time-sensitive in nature, making it vital for businesses to use a platform that allows information to be sent and received swiftly. Transaction SMS is driven by triggers and messages can be sent to customers almost instantly. Furthermore, 95% of text messages are opened within minutes of being received, allowing customers to respond promptly in-turn. 90% of adults have their mobile phone within arms reach at all times. Unlike email, it’s easy for customers to send and receive messages at almost any time of the day – not just when they are sitting in front of a computer or available to take a phone call. This makes SMS an extremely convenient channel for transactional communication. Transactional SMS can help facilitate a deeper customer relationship and provide a valuable marketing opportunity. Keeping customers informed and engaged via SMS after a transaction can help establish a direct connection between brand and consumer, enhance customer experience and build loyalty, thus driving sales. In order to enable transactional SMS through an SMS company, you need a reliable SMPP (Simple Messaging Peer to Peer) protocol to function as a relay engine. SMPP, which is a level-7 TCP/IP protocol acts like a robust backbone, allowing swift and effective delivery of messages. Most enterprises, apps or SaaS providers connect with an SMS gateway provider to roll out their transactional SMS and benefit from its potential. Usually integrators look at array of integration options such as SMPP, HTTP, plugged REST and SOAP along with other alternatives with specific use cases such as MMS API and Email to SMS integration. In most cases, transactional SMS can be a straightforward plug-and-play integration that sits on the top of any system. Some, more security focused enterprises, such as banks and financial institutions, however, look at RESTful or SOAP integrations in order to secure their sending. Ultimately, an API solution is needed to connect with the sender system and therefore enable this transactional SMS module. If that all sounds a little overwhelming, never fear, our customer success team are available 24 hours to talk you through the process. Meanwhile, our tech team are able to assist with establishing transactional SMS quickly and seamlessly.